This is not a hard job but it is important, as it offers a connection to all who enter while at the same time creates awareness of who is in our building, especially during preschool hours. 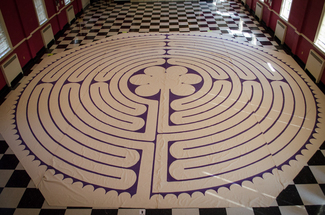 We are looking for folks who will be present in the provided space during the hours when the Labyrinth Walk and Stations of the Cross events are happening. You may sign up for multiple time slots. Please contact Anna Miller with any questions. quietly greet those who enter. make sure all guests have shoes removed prior to entering the labyrinth. be present in room for the designated hour. ensure entrance to the larger church is locked or closed. keep your cell phone with you on silent in case of emergencies. call 911 and / or notify office and Anna Miller of any emergency. if you are able, plan to participate in the event prior to or just after your slotted time. if you see anything that needs special attention, please reach out to the office or Anna Miller.